VoiceSense is an Israel-based technology company that offers a new speech-based predictive analytics solution. The company has created a unique technology that analyzes the voice communications of customers, which VoiceSense claims can help any enterprise improve its marketing and sales efforts and even facilitate better risk assessments of customers. Dataquest recently spoke with Yoav Degani, CEO of VoiceSense, to learn more about the company’s technology and plans for India and other markets. Q. What are the key priorities for VoiceSense today? 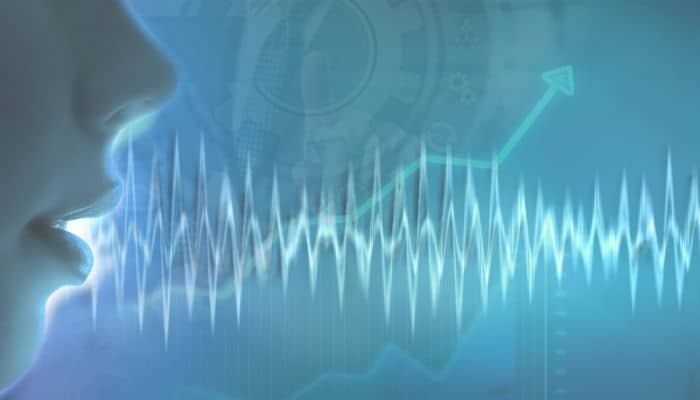 Over the past decade, we have invested heavily in developing our speech analytics technology. I am proud to say that our technology is proven and commercialized in several key sectors. These sectors include customer analytics for personalized marketing and retention, fintech for risk assessment and investments, HR analytics for candidate screening and recruitment, interaction analytics at call centers as well as healthcare analytics for depression and well-being monitoring. All these solutions were tested and validated with our first customers and significant proof-of-concept engagements. Our main priority now for the next two years is establishing our market presence with these solutions across the United States, Europe and Asia. Q. Why is predictive analytics important for the enterprise today? Predictive analytics can be defined as a method for analyzing trends, patterns and characteristics of current and past data in order to assess the probabilities for future behaviors and outcomes. Predictive analytics is part of an enterprise’s Big Data initiatives. Whereas Big Data is about collecting, storing and analyzing vast amounts of data, predictive analytics focuses on revealing patterns and trends to support predictions and expectations about future business aspects, including consumer behavior. Almost any enterprise can benefit from predictive analytics and it can be used to improve decision- making processes in all areas of an enterprise’s operations from marketing, sales, service and risk management to human resources, development and production. Here’s a quick example: enterprises can leverage predictive analytics to evaluate historic buying patterns and personal characteristics and can then forecast how individual consumers and customer groups will respond to a specific sales campaign. Q. Who within an enterprise is responsible for utilizing predictive analytics? In larger enterprises, predictive analytics is the responsibility of someone in a C-level position, often referred to as the Chief Analytics Officer (CAO) or Chief Data Officer (CDO). For enterprises that do not have a dedicated CAO or CDO, predictive analytics often falls under the responsibility of a Chief Information Officer (CIO) or a Vice President responsible for the business’s data. Enterprises should consider predictive analytics activities as strategic, because they can significantly improve core business activities. That’s why, in addition to the senior officers just mentioned, decision makers from sales, business development and marketing teams are almost always involved. Q. What innovations are you bringing to this space? The main differentiation we offer is the use of speech analysis for big data predictive analytics. Using speech enables to improve enterprise performance significantly, based on data that already exists in the organization – recorded or ongoing customer interactions. A significant benefit of our non-content, prosodic speech analysis approach is being language and culturally independent. The key advantage of our approach is focusing on the behavioral aspects of consumers. While typical predictive analytics is based on analysis of demographic and historic customer data, our solution adapts the sales, retention and risk assessment processes to the personal and behavioral tendencies of the consumer. Using over 200 speech parameters, our intonation analysis is able to classify individual speech patterns and link them to many personal tendencies, such as buying style, loyalty style, risk taking tendency, trustworthiness and many more. Moreover, unlike many big data solutions that mainly suggest a platform for collecting and storing huge amounts of data and expect the enterprise to develop the predictive models, our solution offers the specific predictive models themselves, already validated and backed up with proven results. Q. Which vertical markets can benefit from your approach to predictive analytics? The truth is that nearly any enterprise in any vertical market can benefit from VoiceSense’s solution. Our fully automated process can be used to analyze any customer interaction, using either recorded files or live audio streams. We can provide a predictive score for different use cases and scenarios, which can be used in real-time or offline. For example, some of our bank customers are using our analysis to improve the risk assessment of loan applicants. While their representatives are on the phone talking to such a customer, VoiceSense automatically sends reps a score, identifying whether this applicant is high risk and more likely to default on a future loan. This information is later integrated into CRM data and decision-making processes. Insurance customers use VoiceSense similarly to assess the likelihood that potential customers will make future claims. Any enterprise can use VoiceSense to increase sales by anticipating the success probability of an upsell and by adapting the sales approach to the customer’s buying style. Similarly, all verticals can use VoiceSense to improve customer retention, by forecasting churn probability and adapting retention processes to loyalty patterns. Other enterprises are using VoiceSense to evaluate job candidates as well as to retain existing employees. Again, these are use cases that are relevant to all industries. A different market is the healthcare industry, which can use our analysis as part of the emerging digital health approach for automatic, remote tracking of depression, well-being, and other mental related states. Q. How important in the Indian market for the company today? We are gradually getting more involved in the Indian market because we see the huge potential. Clearly, it’s a very large market with many enterprises and verticals that can benefit from our approach to predictive analytics. We’re already partnering with a leading HR company in India that has incorporated our candidate screening and job match assessment capabilities into its recruiting processes. As noted before, one of VoiceSense’s many advantages lies in analyzing speech patterns rather than content, hence being language and culturally independent. Not only has our analysis proved to work in many different languages in general, it has also been validated with Asian tonal languages, such as Chinese and Korean. For India, this is crucial, given the country’s cultural diversification and multi-lingual environment. Q. What are other geographic markets important for your operations? Given the general nature of our conceptual approach — classifying personal, consumer and healthcare behavioral tendencies — and given the generality of our technological solution – automated, remote and language independent, we’re obviously interested in global marketing. Our business model prioritizes working through large partners, therefore we seek significant local partners in each geography. We have strong traction in the United States and are expanding our market reach and operations there. We have initial cooperation with European vendors and quite a lot of activity and interest across the APAC region, China, India, Korea and Australia. We focus on the behaviorial Aspect of Customers: VoiceSense 0 out of 5 based on 0 ratings. 0 user reviews.